Home online deals (Wipes Deal) Cuties Sensitive Baby Wipes Unscented, 600 Ct. Need a Baby Wipes Deal? Stock up on Amazon! No Cuties wipes coupons needed for this deal! Hurry and get the Cuties Complete Care Sensitive Baby Wipes Unscented, 600 Count today for as low as $9.42 (less than $.02 per wipe) from Amazon when you choose Subscribe & Save with at least 5 subscriptions in one month. GENTLE & STRONG: Cuties Baby Wipes offer outstanding cleaning while being gentle on your baby’s skin. 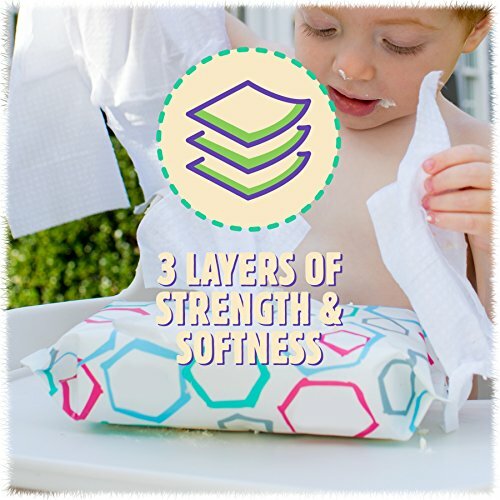 Made from extra strong fabric that’s thicker, stronger, and softer than other brands, these wipes deliver exceptional cleansing gently to baby’s skin. COMPLETE CARE FOR BABY’S SENSITIVE SKIN: Thoughtfully designed. Responsibly made. Incredibly soft. Our diapers & wipes are soft, absorbent & safe because they’re going on your baby’s sensitive skin. And that delicate skin deserves the most complete care. A LEADER IN VALUE: We’re a leader in developing premium quality products at a great value, including baby wipes, training pants, disposable diapers for newborns & toddlers, feminine care, adult care, household products, bottled water & more. Cuties is a new generation of baby care for a new generation of parents. Cuties wipes combine three layers of strength & softness for a super soft, strong, and enjoyable diaper change. It’s Complete Care for your baby’s sensitive skin. Made with Natural Aloe & Vitamin E, Cuties hypoallergenic wipes are free of alcohol, parabens, fragrances and dyes, so they’re gentle on the most sensitive skin. The unique Press-Open Lid works with one hand – the free one. Wipes are available by the case. There are six single-packs of 100 count, so you can take them anywhere. All Cuties products are backed by our Skin Smart Promise to You. . That means every decision Cuties makes is designed to help protect the health of your baby’s sensitive skin. Cuties wipes undergo extensive research, testing & retesting before they are sent to your door. Advanced Quality Assurance vision systems monitor the quality of all products 24/7. After all, your cutie’s delicate skin deserves the most complete care. Buy the Cuties Complete Care Sensitive Baby Wipes Unscented, 600 Count from Amazon. Next articleMCCAFE Premium Roast Coffee, K-CUP PODS Stock-up Deal!